“Our bread & butter for 39 years"
We bring top brands like Herman Miller, Steelcase, Haworth, and more at budget friendly prices. 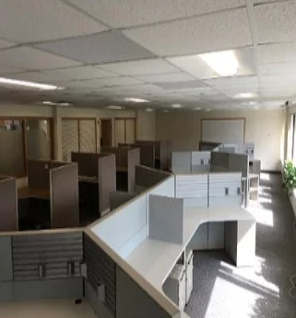 See our sample inventory below and contact us to build out your office plans. *We can combine used and new to create the perfect office space. Increase employee happiness on budget. 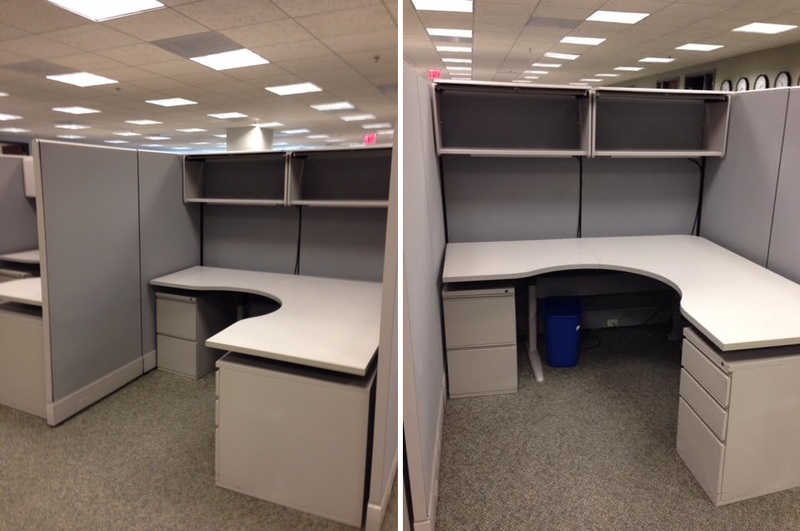 From one cubicle to hundreds, we can outfit any office space. *Fully loaded with height adjustable work surfaces. *Brand new work surfaces and file drawers. Photo from installation we did in Philadelphia. *Unique 45 degree stations create a "dogbone" look. 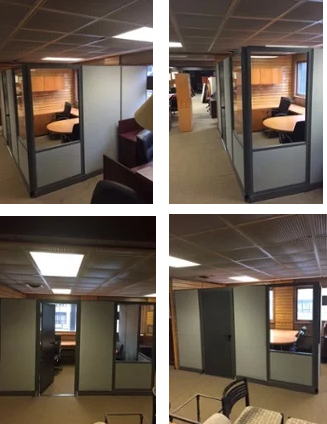 These 7' tall panels are in excellent condition and have their own locking doors integrated into the system to create your own private office. Can be used in an office or a warehouse. Many combinations of all fabric panels and/or glass panels to create your own unique look. 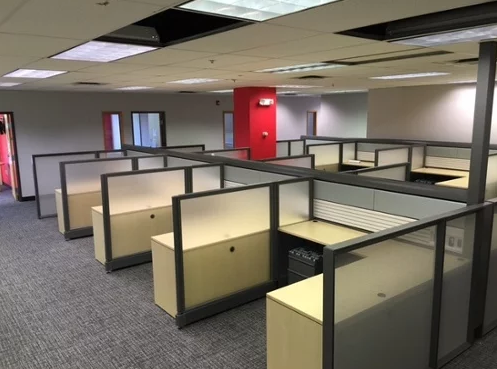 We've been selling office cubicles for 39 years. Whether you need a simple setup of 1-2 or you'd like to purchase thousands, we can help. Simply complete the form with what you're looking for or need help with.